Today i try to teach her about the role-play. It is the part of imaginative play where people pretending to be somebody else. So i decided to go to a baby store near my house yesterday and i found some cute role-play costumes like cow, bunny, ladybug, and so on. 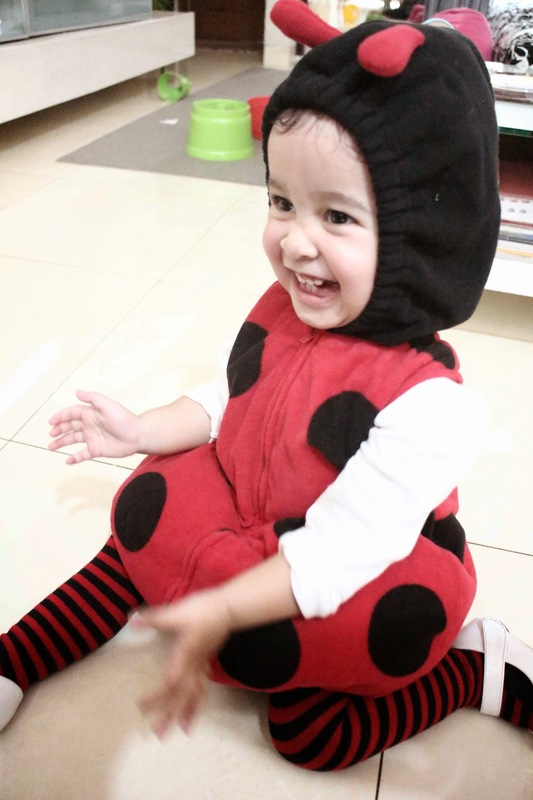 Inaaya pick the cow costume but its not available on her size so we picked the ladybug right away. I wish she will experiment with the roles of things she observes just as she tries out the roles. She's already saw the ladybug video once in YouTube and she looks so happy while trying it out and pretend to walk like a little ladybug. 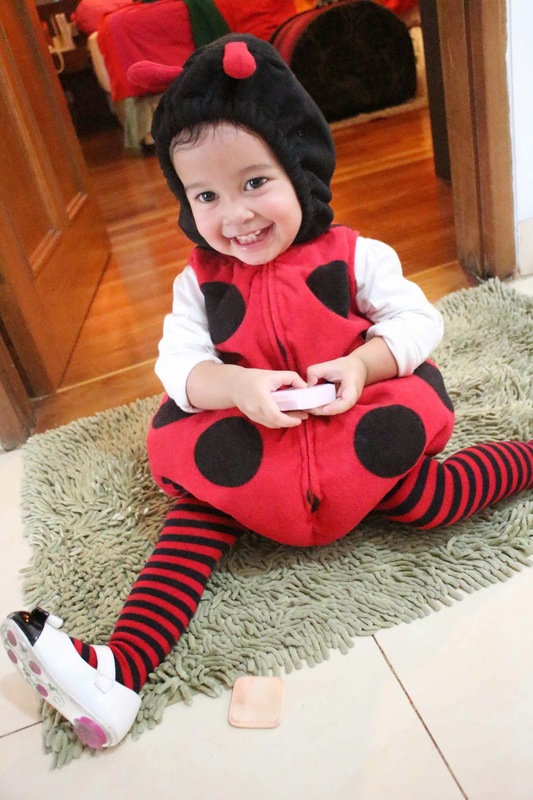 "Lovely little ladybug from sent from heaven above, please watch over my garden and fill it up with love"